Social media relevance has ascended into almost every aspect of our life, from posting pictures of our meals to outfit of the day posts we constantly share our life on social media for our friends and family to see and enjoy. Weddings are no different, sharing live updates of one’s wedding have become a trend nowadays. Today, couples document every single, precious moment in the lead-up to the wedding and then go all out to post about their D-day. People often hire social media agencies or have dedicated teams to ensure regular status updates. But with this comes the risk of making social media faux pas, invasion of privacy and the possibility of turning into a social media addict on the happiest day of your life! To make sure you fully enjoy your wedding without letting your virtual life take over the real, here are some easy and fun tips to ace social media at your wedding. To start with, create an event on social media to generate buzz amongst your peers and acquaintances. You can do so by creating an event on Facebook for your wedding with RSVPs and invites. This leads to a social media butterfly effect with your friends accepting online invites and people seeing who all will be attending the wedding. To make your wedding social media friendly you can also hashtag your wedding. Create a fun and quirky hashtag for your wedding and ask your friends, families and near and dear ones to post all the wedding related moments using this hashtag. You can use a mix of you and your partner’s name for a hashtag or even have a word that symbolizes a special meaning for your union. Another unique and fun idea would be to go live with the festivities. Ask your friends and bridesmaids to do live videos of the wedding including the festivities that follow before like the sangeet, mehendi, haldi etc. You can also give sneak peeks of the bridal look, lehenga, jewellery, makeup etc. and keep the excitement going. To make your guests even more happy you can do something special such as give personalized thank you notes with photo tags. This will give a personal touch to the usually generic ‘thank you’ notes and will also encourage shares and mentions on social media. Furthermore, to get social media friendly pictures from your wedding you can create “Instagrammable”corners and moments at the venues. Have a photobooth or a nice wall decorated with flowers and fun pictures for your guests to go and click pictures with. You can even have certain fun moments planned like flash mobs or a fun bridal entry for people to capture. Ask your photographer to capture candid photos of you and your guests interacting or even candid photoshoots with pets, small kids and grandparents for cute and adorable pictures. Also avoid keeping too many restrictive rules for wedding social media since it’s only fun when everyone participates. Thanks to social media, the pressure to put on the perfect wedding is real. But that shouldn’t stop you from enjoying this special day with your friends and family. 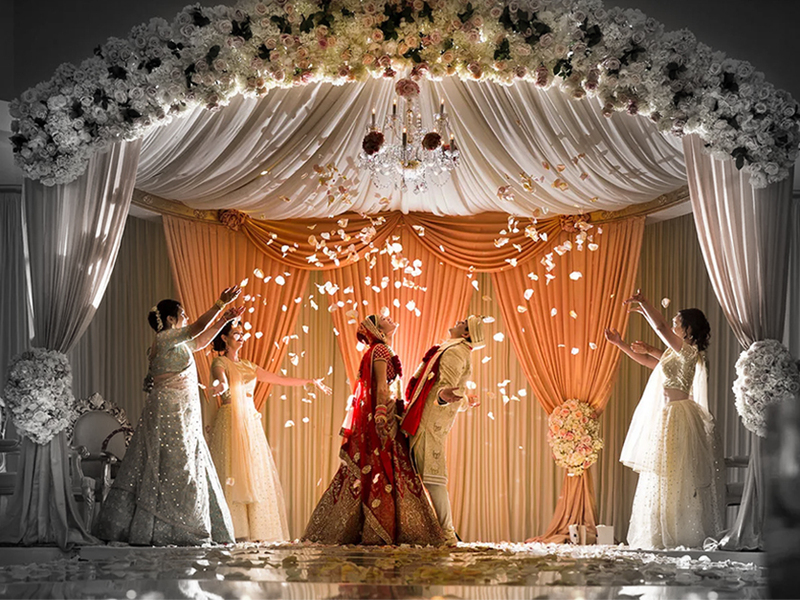 These tips will definitely keep up the excitement and make your wedding a social media success. Awesome News From Vuroll- Don’t Miss Out. Can Self Regulation of Online Content Work in India..? 6 Things to Keep in mind before choosing Influencers for your Campaign!